Today we take a guided tour of Old Delhi, the 17th century walled city of Shah Jahanabad, Visiting the great Jama Masjid, the principal mosque of Old Delhi. 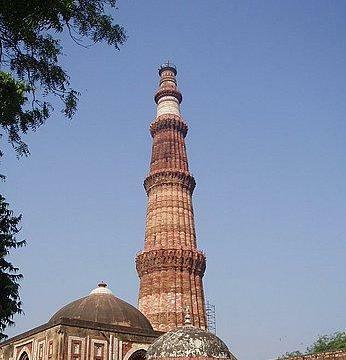 Built in the year 1656 AD by the Mughal Emperor Shah Jahan, it is the largest & best known mosque in India. Later we walk down through Chandi Chowk, the old marketplace of Shah Jahanabad now a picturesque bazaar to reach Red Fort, built in the year 1648 by Shah Jehan.We also visit Raj Ghat, memorial to the Father of the Nation, Mahatma Gandhi. 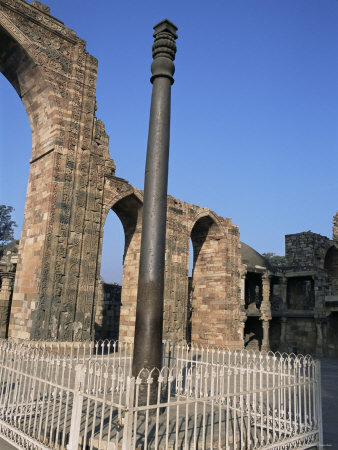 It is a simple black marble platform that marks the spot of his cremation on 31 January 1948. In New Delhi, we drive past India Gate, memorial built in the year 1931 to commemorate the Indian soldiers who died in the World War I & the Afghan Wars. The names of the soldiers who died in these wars are inscribed on the walls. President's House, the official residence of the President of India, built in the year 1931. Until 1950 it was known as Viceroy's House & served as the residence of the Governor-General of British India. Later visit of cannaught place. Optional - Sound & Light Show at Red Fort. 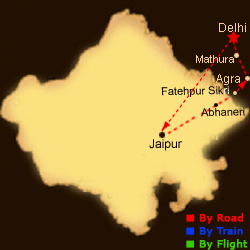 Today we drive to Jaipur, popularly known as Pink City, the flamboyant & colourful capital of Rajasthan. With its rich & colourful past, resplendent with tales of valour & bravery, it is now one of the most important heritage cities in India. 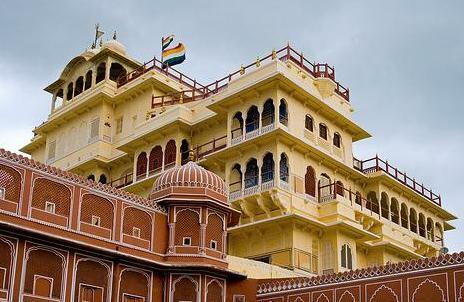 The city was founded in the year 1727 by Maharaja Sawai Jai Singh II, the ruler of Amber. 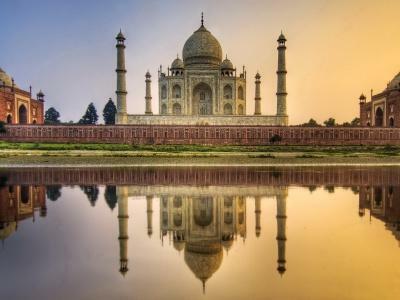 It remains the only city in the world symbolizing the nine divisions of the universe, through nine rectangular sectors. On arrival to Jaipur,we visit the City Palace, a perfect blend of Rajasthani & Mughal architecture. The center of the palace is a seven-storied building called Chandra Palace, with fine views over the gardens & the city. Further we visit Jantar Mantar (Solar Observatory), an astronomical treasure house, with solar devices that give accurate predictions till date. We also visit Hawa Mahal (Palace of Winds), a five-storied structure of pink sandstone. It was built in the year 1799 so that veiled royal women could peer down the busy street market unseen by the world through its 593 stone Jharokas (mini windows). Today we drive to Agra en route visit of Abhanari(step well) a small village, situated at a distance of 95 km from Jaipur, on Jaipur-Agra road. The place is popular for the amazing 'Baoris' (step wells) and Harshat Mata Temple. The village of Abhaneri is believed to be established by the King Raja Chand. Originally Abhaneri was named as Abha Nagri, which means the city of brightness, but due to mispronunciation of the term, it is changed to the present name.Abhaneri is prominent for 'Baoris', which are the unique invention of the natives for harvesting rain water. Amongst the other step wells, Chand Baori is the most popular one. This colossal step well is located in front of the Harshat Mata Temple. Chand Baori is one of India's deepest and largest step wells. 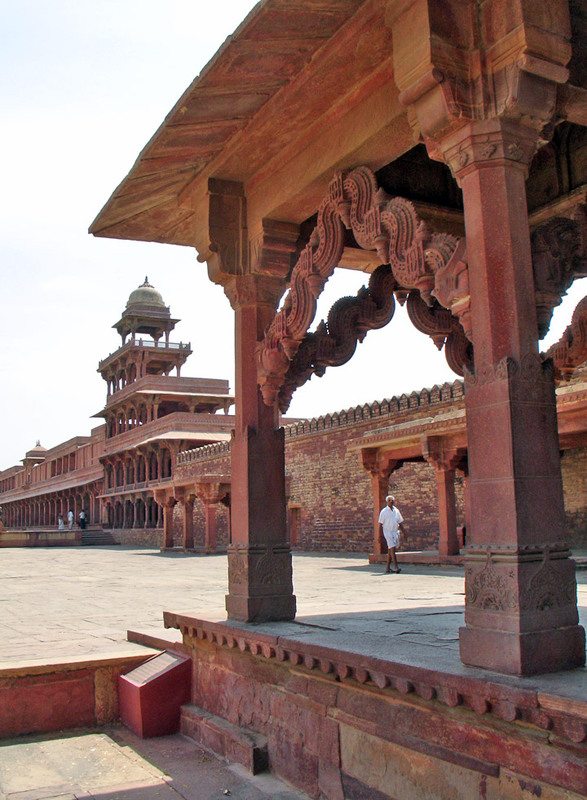 Later we will visit Fatehpur Sikri (Ghost Capital), the political capital of India's Mughal Empire under Akbar's reign, from the year 1571 until 1585, when it was abandoned, ostensibly due to lack of water. We visit Emperor Akbar's Residential complex, Mosque & Tomb of Salim Chisti. 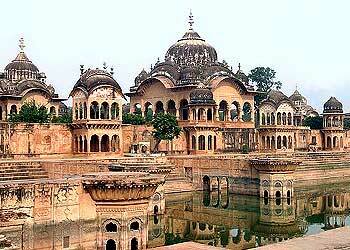 Today we drive back to Delhi, en route visit Mathura,places related with the birth & childhood of Lord Krishna. In Mathura we visit Shri Krishna Janmabhumi temple, a stone slab marks the original birth place of Krishna. ISKCON Temple, one of the most beautiful temples in Vrindavan. Temple is devoted to Krishna, his brother Balaram & Krishna's beloved Radha. Further we continue our drive to Delhi, on arrival to Delhi enjoy farewell dinner then transfer to Airport for onward Destination. Our tour concludes: Real Voyages thanks you for your patronage & look forward serve you again in near future. · Elephant ride in Jaipur. · Any airfare or airport tax.